Paul Davis, author of A Useful Guide to Negotiating Effectively, is an innovative trainer, coach and facilitator. 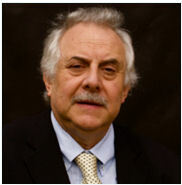 He has worked for over 20 years across all sectors in the UK, USA, Northern Europe and Africa. After graduating from Lancaster University in 1998, Paul worked for the highly respected Industrial Society in London for 14 years. The Industrial Society was an independent, not for profit organisation with a Royal Charter, campaigning to improve working life. During this time it was the UK's leading advisory body on the world of work, supported by both management and unions. Paul was part of a specialist service in The Industrial Society, which focussed on improving employee relations and communication across all large organisations in the UK. Moving to Capita, a leading professional services organisation, Paul continued this type of work internationally. He focussed on working with governments in developing countries to implement their civil service training. Since 2004 Paul has worked as a freelance trainer and as a training associate. He has won the prestigious Trainer Recognition Award from the Chartered Institute of Housing in 2007, 2009, 2011 and 2012. He is based in both London and Norwich, is married and has three sons.